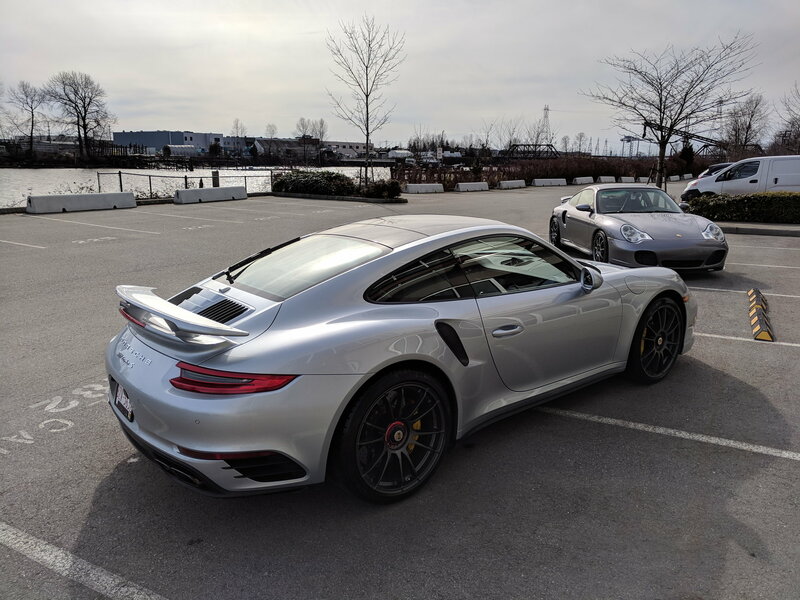 991.2 TTS as a daily driver? Agree 100% with post above. Great DD and very capable car when pushed. DD my 991.2 TTS Cab every day in NJ. Did the same with 2015 .1 I had. The only supercar you can daily drive like you stole it. Best DD I've ever had, BY FAR. i've driven many different cars and the tts is, imo, far and away the best combination of really comfortable and easy daily driver and ridiculously great performance. nothing comes close, imo. I live in Pa, any day it's not snowing I'm driving one of these. Here's one with Michelin snowies - although on Canada's west coast, where we rarely get snow, we did this year - car was surefooted and easy to control in it. And I agree with that as well. I put 40K miles in my old 997.2 TT commuting to work every day. 25 miles each way. I am 99% of the time by myself in the car, and no need to have more space than what a 911 offers. The only problem in LA are the lowered Honda Civics with horrible exhaust tips and Infiniti's, etc...!trying to race me when all I wanted was to go to work and come back home. After I sold it I decided to go a bit more stealth. Nothing really - I had 3 other cars, 2 Fiats and one Infinity, that I could use during the week, so drive a different one everyday. I was rear ended on one of them already, so one is gone. I enjoy being a no one in LA traffic. Extended warranty for 2015 TTS Cab?